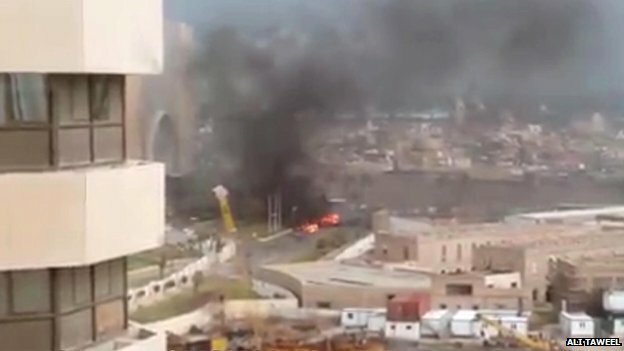 Militants have attacked a hotel popular with foreigners in Libya’s capital, killing three guards, officials say. 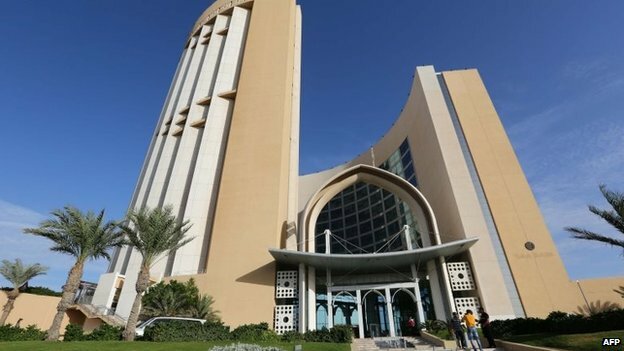 Several gunmen stormed Tripoli’s Corinthia Hotel and opened fire in the reception area. A car bomb also exploded outside the hotel. It is not clear whether the gunmen are still inside the hotel, and whether any staff or guests are trapped there. A Twitter account linked to Islamic State said the group had attacked the hotel. The claim could not be verified. The total number of attackers is not clear. Different sources at the scene said there were between three and five. A security source told the BBC that one gunman had been arrested, and that another two assailants were still inside the hotel. 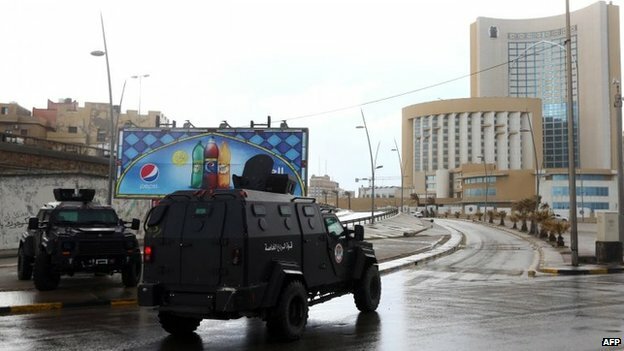 Security forces could be seen gathered around the hotel following the explosion and the BBC’s Rana Jawad in Tripoli says the surrounding area has been sealed off. One hotel employee told the Associated Press news agency that the hotel was mostly empty at the time of the attack. Meanwhile, a hotel security source told the BBC that the hotel had received a threat “a few days ago” warning managers “to empty the building”. Corinthia Hotel is popular with foreign diplomats and government officials. The United Nations Support Mission in Libya (Unsmil) has hosted several workshops at the hotel. Libya has been hit by instability since the overthrow of long-time ruler Col Muammar Gaddafi in October 2011. Posted on 27th January 2015 by newsafrica. This entry was posted in Africa, Libya. Bookmark the permalink.